The year 2016 is now well underway. Those of us who make new year’s resolutions have made and (in many cases, sadly) already broken them. But the opportunity remains at times like this to make small improvements that can make a real difference to our quality of life. In this Investor Insight we consider the benefits and features of a successful investment strategy. At the outset, we concede as we always do that our approach is not for everybody. We believe that, for most people, investment should be pretty boring. As Nobel laureate, Paul Samuelson, once said "Investing should be more like watching paint dry or watching grass grow. If you want excitement, take $800 and go to Las Vegas." The first thing to remember is that time is money. Whilst there is always a reason to do nothing (fear of market crashes, fear of missing out on something better or just plain old procrastination), every day that you delay making sensible investment decisions worsens your eventual financial position. The easiest way to see the importance of time is to consider scenarios such as the one mapped out by Business Insider Australia in the graph below. 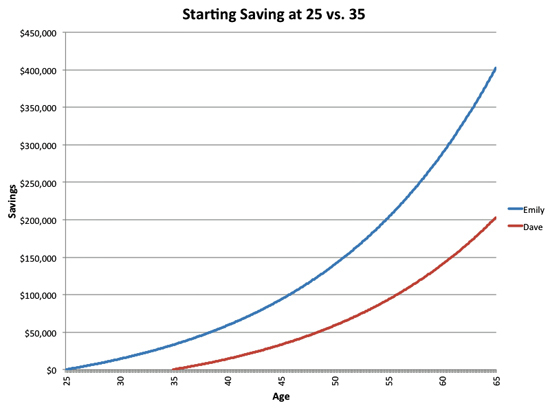 In a nutshell, Emily saved the exact same monthly amount as Dave ($200 until retirement), but started at age 25, instead of 35. By retirement at 65, Emily has contributed $24,000 more than Dave ($96,000 vs $72,000) but has accumulated a whopping $200,000 more (assuming a 6% p.a. average return). The implications of this extend beyond the young. As we all live longer and longer, people at retirement age face the (happy!) prospect of many years ahead. Decisions made today can significantly impact your quality of life in ten or twenty years. So do not delay. Make sure your financial plans – and those of your family – take into account the critical importance of time. 2. Keep it simple, silly! The second key principle is to keep your investment simple and easily manageable. As the great investor Warren Buffett once observed, investment is not Olympic diving; you don’t get bonus points for degree of difficulty. So avoid getting lost in complexity. Beware of highly structured financial products. While they have their place, that place is generally not in the portfolios of individual investors, who have neither the time nor the resources to properly assess their features and risks. Put simply, if you do not understand an investment structure, you cannot understand its risks. And if you don’t understand the risks of your investment, how can you make a rational decision to invest? The principle of diversification is one that makes intuitive sense. Many of us learnt not to “put all our eggs in the one basket” at our grandmother’s knee. To be sure, diversification does have its critics. Even the great Warren Buffett has been heard to question whether diversification makes sense “if you know what you are doing.” And perhaps he has a point, if by “know what you are doing” he means “if you have the skill and temperament to build a multi-billion dollar fortune by stock picking.” If you are blessed with this ability, perhaps you should pay less attention to diversification and simply focus on the investment opportunities that will yield the best possible results. But for most investors, diversification is an important protection against the consequences of choosing an investment that underperforms (or worse, loses our money!). After all, his doubts notwithstanding, even Mr Buffett diversifies his investment choices across dozens of individual holdings. And if it’s good enough for him, then perhaps it’s good enough for us. 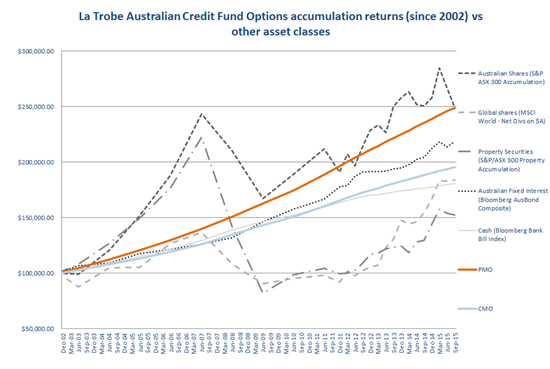 So how does La Trobe Financial, an asset class specialist, apply the principles of diversification? First, we have built our fund with four investment options so that investors can diversify their exposure to our asset class. Two of the investment options are pooled options, which have been fundamentally built around diversified portfolios. The other two options are contributory in nature, so that investors can choose the individual loans in which they are investing and so construct their own diversified portfolios. Second, the various investment options all have a different maturity and asset/risk profile. By spreading investments across the options, investors can diversify their cash flows and exposures to individual investments. Third, our unique ‘co-investment’ model means that the various options within the fund can co-fund individual assets. This means that individual options and investors can increase the number of investments they hold, decrease the size of each of these investments and so diversify their overall portfolio. Fourth, we diversify our portfolio by primarily targeting smaller assets. This massively increases the number of holdings in each of the options and decreases the effect that the performance of any one asset can have on the performance of our portfolio. The value of this approach has been highlighted in recent years, with many competitor funds suffering substantial losses because their portfolio was excessively concentrated into a small number of large assets. When one or two of these large assets stopped performing, the entire portfolio suffered. 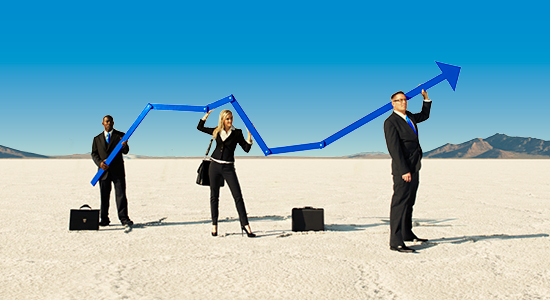 This is the outcome that La Trobe Financial’s investment philosophy is designed to overcome. Fifth, we source our assets from across Australia, broadly in line with Australia’s population and economic activity. This geographic diversification mitigates the effect that specific regional factors have on overall portfolio performance. Again, recent years have shown the value of having a geographically diversified portfolio. A common feature in the collapse of regionally-concentrated fund managers in recent years has been the serious effect that this has had on the local population. Frequently, the fund manager will encounter difficulties at a time the local economy is struggling, meaning that investors are hit with the double blow of living in a poorly-performing economy at the same time that they incur investment losses. Sixth, we diversify our loans by sector, investing in assets secured by residential, commercial and light industrial security types, among others. This mitigates the effect that any one sector can have on overall portfolio performance. "As all grandparents and most parents know -- and as most grandchildren will come to know -- the real test of a good driver is simple: no serious accidents. And as all flyers know, safe, dull -- even boring -- is the essence of a good flight. The secret to success in investing is not in beating the market any more than success in driving is going 10 MPH over the posted speed limit. Success in driving is being on the right road and moving at a reasonable speed." That paragraph resonates strongly with La Trobe Financial’s approach to investment. We don’t aspire to outperform any particular market in any particular year. We avoid outlandish promises about future performance potential. Instead, we focus on sourcing sound assets as the basis of conservative portfolios that deliver consistent and repeatable performance over time. Whilst past performance is never a guarantee of future performance, we believe that this approach has delivered outstanding capital stable, low volatility returns over time (see graph below of the Pooled Mortgages Option’s performance since inception in 2002) and we remain committed to maintaining our core investment discipline into the future. Invest 30 minutes of your time to hear from our quarterly market update and investor teleconference. We will discuss the domestic and international economy, with our famous ‘headwinds and tailwinds’ report. We will also update you on any developments for the manager and our fund. La Trobe Financial Asset Management Limited ABN: 27 007 332 363 and AFSL No: 222213 is the issuer and manager of the La Trobe Australian Credit Fund. It is important for you to read the Product Disclosure Statement for the Fund before you make any investment decision. 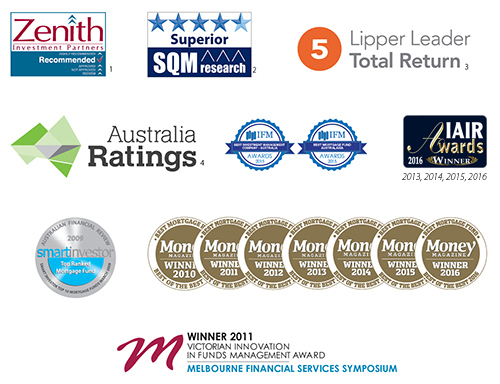 The PDS is available on our website www.latrobefinancial.com or by calling 1800 818 818. 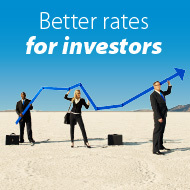 You should consider carefully whether or not investing in the Fund is appropriate for you. 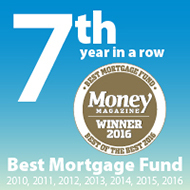 - The award and ratings were given to the Pooled Mortgages Option within the La Trobe Australian Credit Fund.